February is the peak season in Bansko. During this month the school holidays in Bulgaria and its neighbouring countries Turkey, Serbia, Romania and Greece are taking place. At that time is the mid-term break in the UK as well. From 22 till 24.02.2019 Bansko will be hosting competitions in different ski disciplines as part of the FIS Ski World Cup. This will add more strain to the resorts piste and off-piste infrastructure. The most appropriate way of dealing with the busy roads, full of people resort and … of course, the horrendous queueing at the bottom gondola station is to have a strategic plan, made well in advance. This article is a continuation of our previous post –How To Survive The Gondola Queue In Bansko. adding some additional pieces of advice on how to build a strategy to avoid the crowds and minimize the stress. The Gondola lift working hours are 8:30-17:30. The 8-seater cabin lift connects the town with the ski zone above Bansko. It is the bottleneck for the skiers, snowboarders and even general tourists’ traffic up to the slopes. The ski zone with all of its lifts is managed by the highly criticised off-shore company Ulen. The capacity of the cabin lift is a constant, but the hours of operations can be variable. Last February the working time of the gondola was extended by half an hour and the first skiers were able to hop into the cabins at 8:00 am. A week ago I’ve sent an enquiry to Ulen asking if during this February the good practice from last year will be repeated. As I’m finalizing this post there is no reply from Ulen. 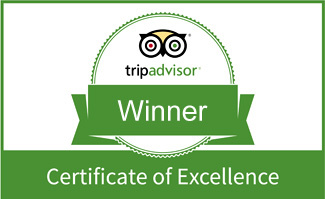 Opening a mere 30 minutes earlier makes a great difference – believe me. Let’s hope for the best. When should you be at the bottom gondola station? There are two options – be there before it opens or be there after 11:00 am. In the peak season, the queue between 8:30 and 11:00 is associated with a nightmare. By all means, it will be best if you are ready with all your gear at the bottom gondola station 10-15 mins before it opens. Don’t miss this time window as the queue builds up very quickly. Arriving 10-15 minutes after the gondola’s opening may mean ending up waiting up to 2 and even more hours at temperatures under 0 degrees in line with other nervous and freezing people. This is no holiday fun at all! Here is a couple of good-to-know tips to consider before you book your accommodation and equipment hire. While searching for your accommodation in Bansko, consider options that are either close to the gondola or provide a shuttle that will get you to the bottom station before the gondola lift is opening. Prebook your lift pass! Don’t waste your time on the first day first queue at the kiosk for a lift pass and then on the main queue. 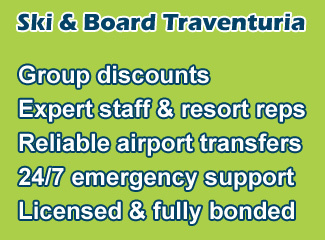 Ski & Board Traventuria (www.skibansko.bg) offers options to pre-book a ski package with lift pass or just a lift pass. When choosing a ski rental shop make sure it meets these criteria: it is close to the gondola; has storage and is with extended working time. 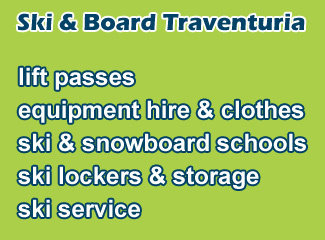 Ski & Board Traventuria is 120 meters from the gondola, offers storage lockers with built-in boot drying and during the winter season opes from 7:00 am till 8:00 pm local time. You will have the advantage to do your fitting the day before your first skiing day or at any convenient time before you start skiing. 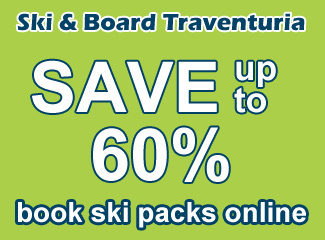 Book in advance your lift pass, equipment hire and secure your fitting time slot at www.skibansko.bg. Sleep until late and enjoy in full your breakfast, slowly pack and head for the gondola. This is the choice of people who prefer their holiday to be easy going. After 11:00 am the queue is starting to die out as most of the people with ski lessons are already at the top gondola station – Banderishka Polyana. In peak times Ulen is organizing transport with minibuses to the top gondola station. A good initiative, but not very effective. The line for the minibuses gets long very quickly and equals the one for the gondola. After 9:00 am is the rush hour on the mountain road to Banderishka Polyana and it is difficult to make the right decision to queue at the gondola or for minibus transport that may take even more time than taking the lift. However, they are free! If you plan to skip the waiting time at the bottom station by using a car, you should consider heading to top gondola’s station parking before 9 am. The parking (12 leva per vehicle per day) fills up quickly and you may be left with the disappointment of not finding a place to park. This is a more expensive way of reaching the top gondola station. Negotiate the price before you start your journey! Some hotels and ski shops are offering shuttle buses to the top gondola stations. The price is usually set to 10 leva per person. You may need to wait a bit till the minibus you will be travelling with fills up. Again, it is better to take the shuttle bus before 9:00 am in order to reduce to a minimum the waiting time in the traffic. Without traffic, the shuttle will take you for 20-25 minutes to Banderishka Polyana. Bansko is the premier ski resort in Bulgaria and there are many good reasons for that. It possesses a variety of ski runs at the fabulous Pirin National Park (UNESCO). Another reason is that it is much cheaper than some French or Austrian resorts, which also get queues and are very busy during the school holidays. Think positive and behave like a gentleman. Don’t jump the line with underhand techniques. Be tolerant at the line and on the pistes. We wish you good luck with your holiday! If assistance is needed you can always approach our representatives at the ski shop or reach us out on the live chat or e-mail. We love to help!